Request colour and quantity in ‘note box’! 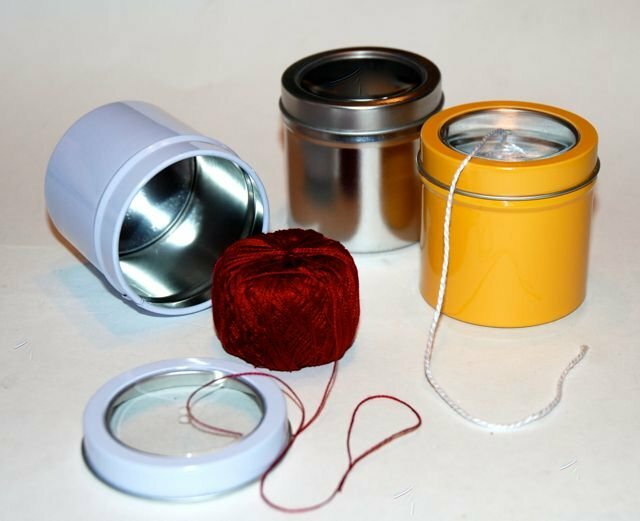 Each handy tin perfectly dispenses thread and keeps your perle balls from rolling away ;-). No more tangles to unravel. Fits a 10-gram ball (as shown). This item is exclusive to Cindy's Threadworks. Collect new colors and/or Gift them!